Lisbon Airlines - Find out which airlines fly from Lisbon Airport. Being the biggest airport in Portugal, Lisbon Portela Airport is home to a large array of airlines, both domestic and international. You can fly all over the globe from Lisbon Portela Airport and many major airlines have chosen Lisbon Portela Airport for their Portuguese flight destinations and connections. 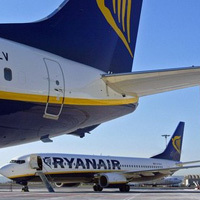 Many popular and family friendly low cost airlines have transformed cheap flights to Lisbon in recent years, with Easyjet and BMI Baby being good examples of such airlines, as well as the Portuguese airline TAP. Competition for cheap flights to Lisbon will mean that more budget airlines like Easyjet are likely to offer cheap flights in the future and Lisbon Portela Airport will become a lead player in Portugal for low cost flights. Many International airlines fly to Lisbon, including such giants as Lufthansa, British Airways, Iberia and Aer Lingus. Smaller airlines such as Royal Air Maroc, Turkish Airlines, Ukraine International and White Airlines are well represented. Cheap European airlines that fly to Lisbon Portela Airport include Vueling, Centralwings and Clickair and the Portuguese national airline TAP is often good for cheap Lisbon Portela Airport flights, as it flies to many destinations across Europe, and to other Portuguese airports including Faro Airport. As Lisbon Portela Airport is currently undergoing a program of development in a bid to keep up with the increasing passenger demand for cheap flights to the beautiful city of Lisbon, you can expect many more budget airlines to be flying to Lisbon in the coming months and years. You can keep up to date by searching for the latest cheap flights to Lisbon at directline-flights and snap up last minute flight deals to Lisbon as soon as they become available.